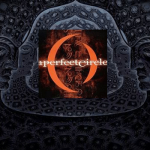 New Track from A Perfect Circle; New TOOL Album Update! Danny Carey says there’s a slim chance of a new TOOL album before Xmas, but more likely it’ll come out early 2014. But to tide us over, there’s the first new track from A Perfect Circle in nearly 10 years.